We're Giving Away A Pair Of HARD Summer Tickets!!! If you weren't already pumped for HARD Summer, hopefully our comprehensive guide to the annual two-day festival of cutting edge electronic music, hip-hop, dance and more has corrected you of your mistake. This is one summer music fest we don't want you to miss, so we're giving away a pair of two-day passes to one lucky reader—keep reading to find out how to win 'em!! This year, HARD Summer takes over Los Angeles State Historic Park on August 3rd and 4th for two full evenings of live music with performers like Skrillex, Chromeo, Bloc Party and many, many more (all of which you can find in this handy guide). Well worth the $129 price tag for a two-day pass of this nonstop awesome, we understand not everyone has that kind of dough to drop on entertainment. Fear not, because we've teamed up with HARD to give away a pair of tickets. "Hey L.A., RETWEET this to enter to win a pair of two-day passes to HARD Summer!!!" When you see that, retweet it. That's all you have to do. Once you've retweeted, you will have officially entered to win our HARD Summer ticket giveaway. Really easy, right? And if you don't have Twitter, it's probably time to get on that. 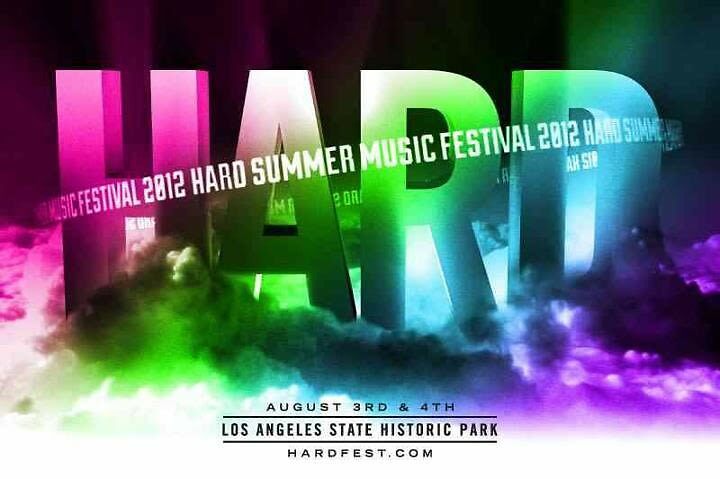 Go HERE to for more info on the music fest and full lineup in Our Complete Guide to HARD Summer 2012!